Teton Waters Ranch is a 5,000 acre parcel in Idaho’s Teton Valley. The plat lies in the Greater Yellowstone watershed, crossing the migration routes of some of North America’s most iconic species. 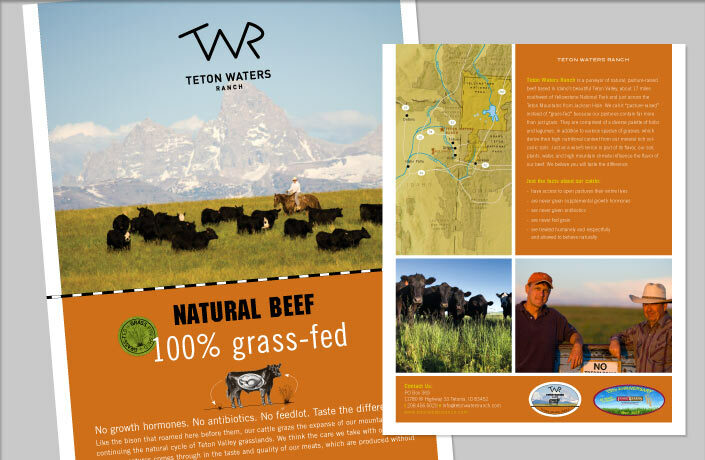 After 100 years of industrial farming, Teton Waters Ranch became a cattle ranch in 2010, growing 100% grass fed beef. 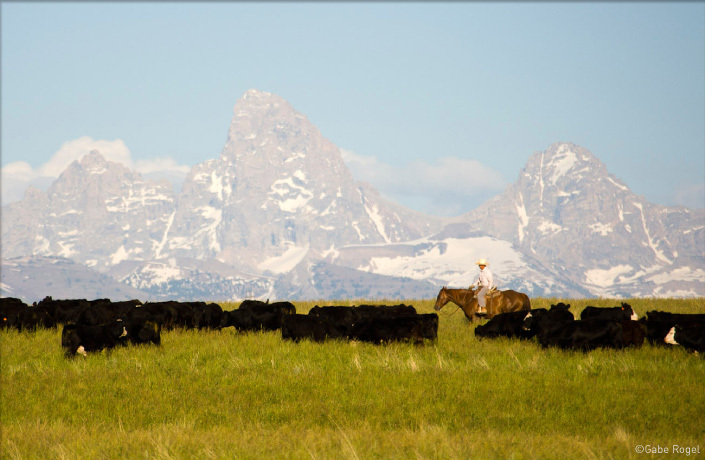 Under the thoughtful stewardship of Ranch owner, Jeff Russell, TWR cattle serve the grassland environment like the herds of wild bison and antelope that have roamed here for thousands of years, perpetuating a natural cycle of grassland and grazing. L Studio has been creator and steward of the TWR brand since the beginning, designing and developing content for marketing brochures, creating TWR’s signature illustration series, and designing grocery store and meat packaging labels for the beef, which is delicious. 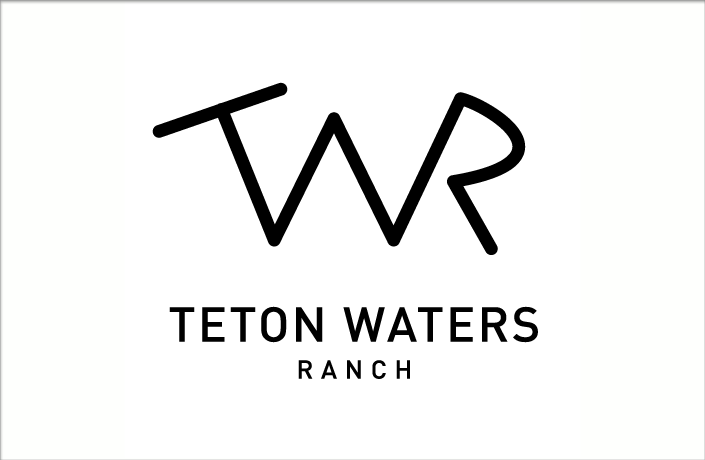 Design of the Teton Waters Ranch logotype was inspired by historic cattle brands. The peak in the “W” alludes to the iconic shape of the Teton Mountain range. 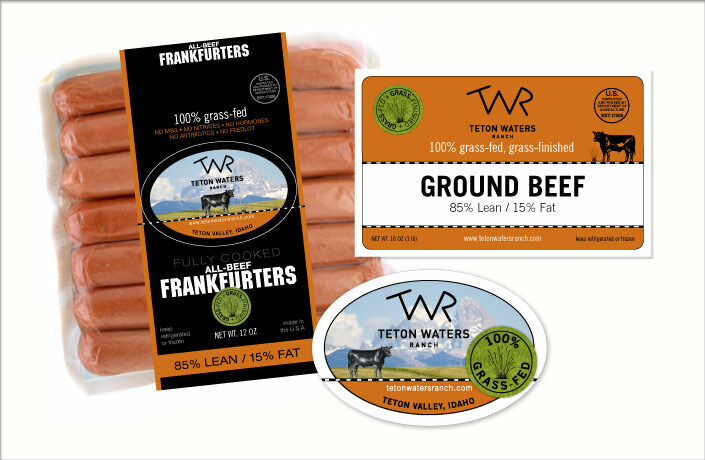 Design and messaging for a variety of TWR beef products has been key to growing brand recognition and loyalty for this sustainably-produced product. Design of materials that educate wholesale buyers and consumers about the benefits of 100% grass-fed beef. All content developed for print communications was translated into the Ranch website. 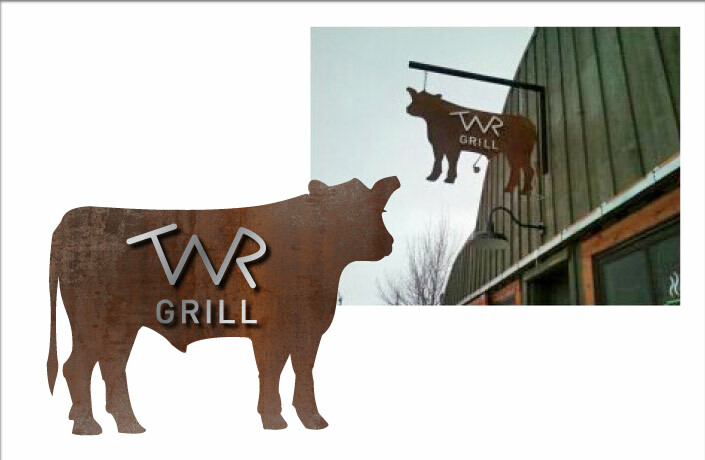 Design of signage and collateral for TWR grill, which serves TWR beef on Main Street in the neighboring town of Driggs Idaho.